Ebola – The Next Plague/Pandemic? On Wednesday another American, NBC News reporter in Liberia Ashoka Mukpo was diagnosed with the deadly virus, the channel reported. He is being evacuated to the US for treatment. 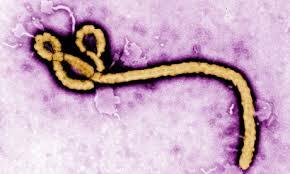 However, the appearance of Ebola in Europe has not been widely reported. On Friday, Germany confirmed its second case of Ebola, as a man flown from West Africa into Frankfurt University Hospital has been placed in an isolation ward. According to the latest figures disclosed by the UN World Health Organization (WHO) there have been 7,178 confirmed cases since the first Ebola patient was treated early this year. The agency says there have been 3,338 deaths from Ebola based on information provided by the Ministries of Health of Guinea, Liberia, and Sierra Leone. We are looking at almost a 50% mortality rate. That is up there with the Black Plague of the 14th century. There was of course the 1916 Polio (poliomyelitis) epidemic that inflected 27,000 people and killed 7,000. Polio came back 1949-1952 infecting 99,801 people in USA killing 6,020. However, there were about 500,000 deaths worldwide. This disease has tended to infect city-dwellers and is known even in ancient times to have killed many people going back to even Egypt. There was the 1916-1926 Encephalitis lethargica or von Economo disease which is an atypical form of encephalitis also known as “sleepy sickness” epidemic that killed 5 million people in Europe and North America alone. Then the 1918 Spanish Flu that killed an estimated 100 million worldwide. The 1980 AIDS epidemic infected 988,376 people killing 550,394 by December 2005. The three greatest plagues were Antonine Plague, due to the name of the Roman emperor in power at the time, 165–180AD, which had a mortality rate of about 30% of population Europe, Western Asia, Northern Africa. The type of disease is not known, but the symptoms were similar to smallpox. 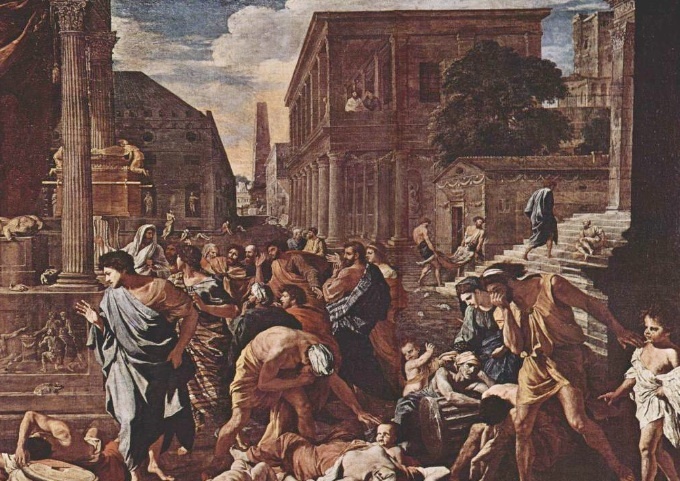 The second great plague was known as Plague of Justinian, due to the name of the Byzantine emperor in power at the time, 541–542AD, which killed about 40% of population Europe. This was the Bubonic plague. 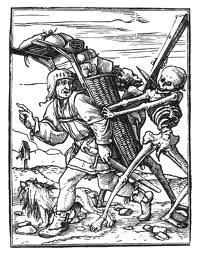 Then there was the great one known as “Black Death”, which killed 30% to 70% of population in various countries within Europe between 1346–1350AD. This was the plague that came to Europe from Crimea in Ukraine/Russia. 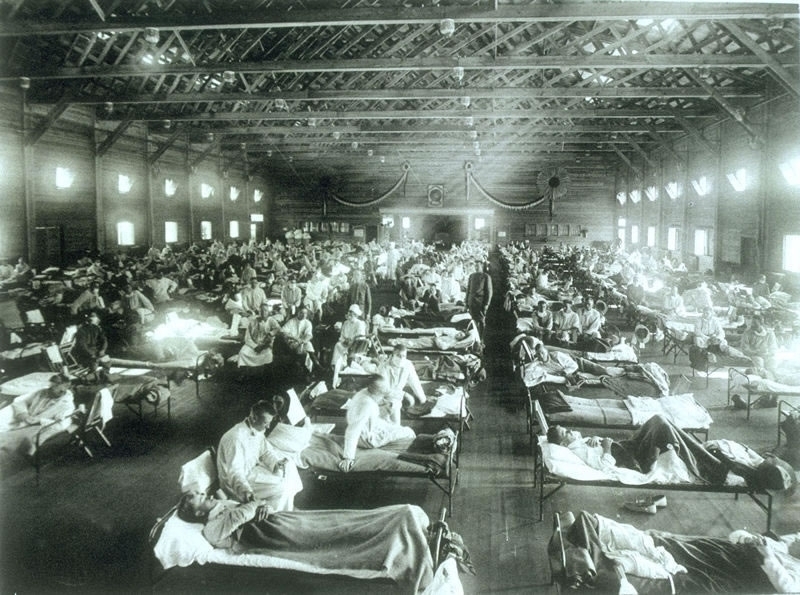 The 1918 flu pandemic (January 1918 – December 1920) (pictured above) was an unusually deadly influenza pandemic. This was the first of the two pandemics involving H1N1 influenza virus. It infected 500 million people across the world, including remote Pacific islands and the Arctic, and killed 50 to 100 million of them. The mortality rate is better known as a percentage of the world’s population being about 5% while the mortality rate among those infected was about 20% making it one of the deadliest natural disasters in human history. Plagues are important. My own family came to America prior to the American Revolution. The first Armstrong to arrive in American was named Martin. My family even fought in the American Revolution. However, there was a plague that hit Philadelphia/New York region during the mid-1800s. My ancestor Martin at that time saw his entire family die. The woman next door saw her children and husband die. The two eventually married and restarted a family. So I guess I am here today because of that plague. We are trying to gauge the extent of infection as a percentage of population, the mortality rate among those infected, in order to see if this is going to be a big one or a blip that is not huge as a percentage of world population. Everything is cyclical. When you get flu shots, they are based upon cycles and which strain should appear and when. This is the annual flu season. To be accurate, the study we are conducting has several layers to it. Plague is typically a bacteria whereas a virus is different. Bacteria are single-celled microorganisms that thrive in many different types of environments. Some varieties live in extremes of cold or heat, while others make their home in people’s intestines, where they help digest food. Most bacteria cause no harm to people. Viruses are even smaller than bacteria and require living hosts — such as people, plants or animals — to multiply. Otherwise, they can’t survive. When a virus enters your body, it invades some of your cells and takes over the cell machinery, redirecting it to produce the virus. However, the most important distinction between bacteria and viruses is that antibiotic drugs usually kill bacteria, but they aren’t effective against viruses. Both have become pandemics which is an epidemic that has spread through human populations across a large region; for instance multiple continents, or even worldwide. A widespread endemic disease that is stable in terms of how many people are getting sick from it is not a pandemic. Further, flu pandemics generally exclude recurrences of the seasonal flu. Throughout history there have been a number of pandemics, such as smallpox and TB (tuberculosis). More recent pandemics include the AIDS (HIV) pandemic as well as the 1918 and 2009 H1N1 virus pandemics. For the purposes of our study, we plot both separately and then combined. In the words of Hillary Clinton – “what difference does it make” if you are dead.